A friend made this diagnosis years ago and it’s true enough. But I don’t think of it as a problem; it’s how I’m hard-wired, and I’ve discovered that writing my blog is a great outlet for all that is swirling about in my head. OK, so what am I “about?” How does one even answer a question like that? My blog is my happy place – the place I can escape, at least temporarily, the pressures of having an adult daughter disabled with brain injury at age 29 – the place where I feel normal again. “Normal”, of course, being a relative term. When you’re dealt a blow like my family has sustained, you have to find the “silver” in the everyday which, while cliche, certainly abounds. And that’s what this blog is about, I guess. Gardening, books, travel, and a little humor thrown in to boot. 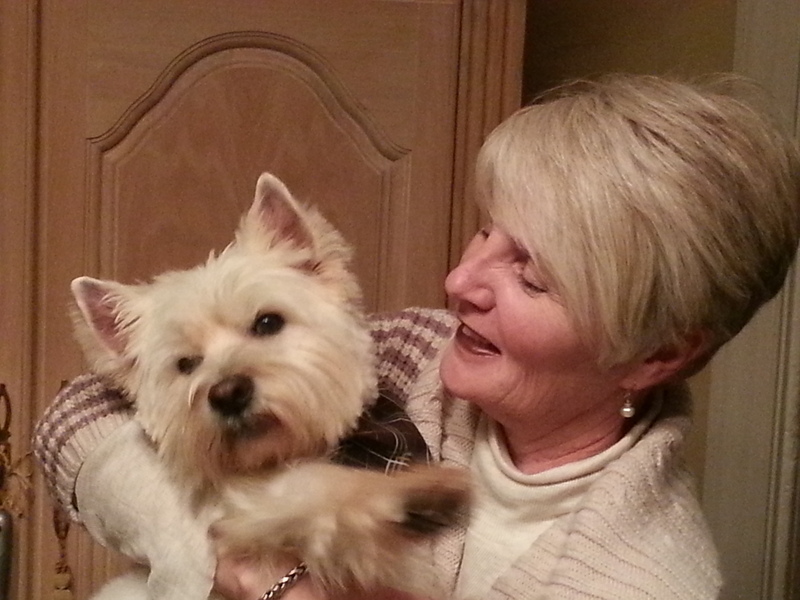 Not to mention the adventures of my two Westie boys, Max and Berkley. And in the few months I’ve been blogging I’ve made a discovery: YOU, fellow blogger. I had no idea the blogosphere abounds with so many truly interesting and interested people and I think of it as a unexpected “silver” in my day. Silver: Metaphorically speaking, all the good things around me. And I do collect vintage silver. The Barn: Our 1915 farmhouse in Central Virginia. And isn’t my little Max the cutest thing ever? Thanks for following my blog. Am enjoying reading yours; I loved your review of Wolf Hall! Thanks so much Su. Have you read Wolf Hall? I am brand new at this blogging biz but am enjoying it more than I imagined. And I love getting to “meet” so many interesting people….such as you. Thanks for reading. Hi Barbara, great to “meet” you too. I haven’t read Wolf Hall, or Bringing up the Bodies, but after reading your review, I think I will. I’ve listened to Hilary Mantel talking about both books on various BBC radio programmes (I download the podcasts), and I keep thinking, “yep, I’ll read the books” but I dont’ get around to it. Actually, since I started blogging (about a year ago), I think I read fewer books – but a lot more online content!!! Glad you are enjoying blogging; there are some wonderful people here forming very supportive communities. I love blogging, and one of the reasons is meeting other bloggers! This is a great picture. I’m glad you stopped by my blog and left a comment! A lovely About Page Barbara. I’m glad you left me a comment so I could discover your little corner of the blog world. I grew up in the country myself, and after living in the city for so many years, I dearly miss the quiet peacefulness that the countryside grants us. I really look forward to following your blog… especially the gardening posts. I love gardening myself, but it’s mostly veggies. I have very little knowledge of flowers at the moment. Oh, thank you!!! Gardening season is fast approaching and I’ve had a word with Old Man Winter about going away. I hope he listens! I hope he listens too. Hello Beauty Along the Road! I am in Central Virginia in Amelia County. We are about 45 minutes west of Richmond. Annette, I so enjoyed your Scotland photographs. My husband and I were just there, for the first time, in September and hiked through the Highlands. It was wonderful in so many ways and your post revived many memories. And the sweet little WESTIE!! Also, I must tell you that I, too, was born in Germany near Stuttgart. My mother is German and my Dad, American GI. And travel is a great love of mine, too. What a small world. Thanks for stopping by and reading my blog. I look forward to reading much more of yours. I could tell immediately it was just my cup of tea. Annette, I understand your entire message. Aber mein Deutsch ist nicht so gut. Ich habe das alles verstanden aber ich bin nicht fliessend. Es tut mir leid ich kann nicht Deutsch sprechen mit ihnen. When we moved as a family to the States, my mother never spoke German with us and everything I had learned as a small child sort of faded away. We were in Germany two Septembers ago visiting my cousin in Hamburg and it was absolutely marvelous for me to be surrounded by the language again and to feel things stirring in my brain. By the time we left, I could make myself understood on a very rudimentary level. It was ausgezeichnet! Tschuss!! My German isn’t so great either, after over 30 yrs here, but I try and practice when I can. I perused a number of your posts and really enjoyed your sense of humor and your fierce love of nature and authenticity. Looking forward to getting to know you better thru your blog. BTW, we are out here in Highland County, 3 hrs west of Richmond, and the famous location of the Maple Festival. Guten Morgen und vielen Dank. Ich auch!! Hello, I am about 1.5 hours from Monticello area. Yes, that would be great. I look forward to it! I thought so too. Glad you liked it. Thank you for stopping by my blog. It is a pleasure to see yours. I love all your interests! Best, Catherine. P.S. I live in Virginia, too! Oh, my goodness, Max is the cutest (Shhhhh……don’t tell my adorable beagles). Thanks for taking a look at Modes of Flight. You’ve really helped me unadtsrend the issues. Thanks. Well, thank you very much. I look forward to reading and following your blog as well and getting to know you (we do have so much in common, it seems) and your area of the world better. Cornwall is an area we have long wanted to visit – perhaps to hike through someday. Very happy to meet you. Hi, Barbara! I wanted to let you know that I’ve nominated you for a Very Inspiring Blog Award. Your blog is a great source of inspiration and entertainment for me, and I wanted to thank you. However, these awards are a bit time consuming, so if you’re too busy to play along, I won’t take it personally. Honestly, it took me the better part of yesterday to get the acceptance post together. Either way, consider this a fan letter! Donna, really I am just so pleased that you enjoy my blog because I am such a huge fan of yours. I can see why it took a good chunk of the day for you to put together your acceptance post but what a great list of blogs you’ve provided many of whom I’ve never read. So many terrific people out here in the land of Blog. Thanks so much, Donna, it means a lot to me. Your post about your daughter’s most recent trip to the ER really touched me. The frustration and worry and guilt that comes from the feeling of not being able to protect your child is a strong one – regardless of how old they are. Without today’s medical care, I would have lost my oldest son – something I still can’t write about. My second son would be in a wheelchair from a snowboarding accident. Your trials are so much worse and I can only send you my warmest wishes and a virtual hug. Thank you for such a lovely comment. I rarely write about Jen, wanting my blog to be a sort of refuge from it all and a place I can sort of be myself. I can tell you’ve been there – frustration, worry, guilt, and for me now, anger, at how little can be done to protect her from what is beginning to feel like the inevitable. And thinking too much is not something we can change, is it? Kind of like eye color, I think. You’re right. I’ve come to accept the fact that I overthink 🙂 It’s simply part of who I am. I see from your page we are following some of the same blogs as well. Another thing in common is the silver lining thing: I try to keep a positive attitude most of the time and see the good in the world, blogging about the people and things I love in my life. Rarely do I rant or express negative thoughts. The post about Rhonda is tragic, I know, but she was one of the people I cared about and got to know in the blogosphere. “A Little Question Mark.” Sounds like a great name for a blog. I think some of are hard-wired for thinking and questioning; it is as much a part of our DNA as our eye color. Your dad’s nickname I find completely charming. I, too, do not want my blog to be a misery dispenser. We all have difficulties to overcome, that’s a given. I want my blog to be about the “silver” moments in this life of which there are plenty…if we just pay attention. I thank you so much for such a generous and thoughtful comment. I know I am going to enjoy you and your blog so much, Jennifer. It is my favorite thing about blogging, getting to know so many special, intelligent, gifted, and generous people. I’ll send you the t-shirt in the email. Be expected it. Now if I can figure out how to get the attachment to work. Bwaha! I’ll be waiting with bated breath….size L, please. You “liked” my grumpy comment on Simone’s site about how I don’t like to be “liked” if we don’t have anything in common – so naturally gravity pulled me to your site (ha ha ha ha). The first post I looked at was “Two Words” – thinking it would be something light. Oops, wrong call there – you won my heart. I poked around in my bit of free time – you call that a “barn”?! Oh Honey, go a little further south! You can find REAL barns! And where are the rest of those personal principles you promised? It’s been since January! Hi Kim. Funny you should mention the personal principles; I was just thinking about that the other day. Funny how topics you think you’ll want to blog about keep getting pushed aside by those that you end up actually doing. I did like your “grumpy” comment. I’ve been around long enough now to develop a few of my own pet peeves. Thanks for reading and commenting, Kim, I appreciate it. Thanks for sharing. I am very sorry for all of the pain that you have had to deal with. I care. I see you you celebrate your one-year WordPress anniversary. Congratulations. 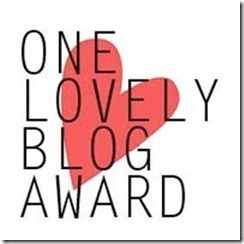 You truly deserve the Lovely Blog award. I have been out of pocket, thus not engaged. But I have enjoyed everything. Did the VA bloggers ever hold a summit? Missing VA.
No, I have not organized a summit. I think it would be best in the warmer weather…. I stumbled across your blog and love it. You have so many interesting thoughts and photos. I am now following so I don’t miss a thing. I’m sorry to hear about your daughter and admire the tenacity and humor in your About piece to introduce yourself to us, your Readers. Consider yourself Followed! Thank you, Julie, I thought I felt something!! I will be heading over to read your blog very soon! Spending most of my time finding the “silver” too! I landed on your web page while I was surfing on the internet. Thanks for the outstanding posts. I am running the I.A.C – Inscribink Authors’ Circle. We are a developing website with 10K+ followers on Facebook. Would you be interested in sharing one of your articles on our website ? Or, would you be interested in being one of the writers on our ever developing website project? Thanks for considering. Let me know if you have any questions. Hi Barbara, I nominated you for the Very Inspiring Blogger Award because you are very inspiring to me. Thank you. Keep going. A compliment and instructions are on my post. Thank you for introducing me to Barbara, Mark. Lovely! Yes, like many of us here on WordPress, we too find it a place to be an outlet. Keep on writing and looking on the bright side of life. I hope even if you don’t choose to accept the award, it helps to show how much I enjoy your writing. How do I repost your 3/5 post? I cannot find the button to post on my blog. Thx! Hello Catherine. That’s very generous of you to want to reblog the post. The only way I know how to do this is through the WordPress Reader. As you scroll through the reader, each post has in blue at the bottom three options: reblog, comment, or like. If that doesn’t work, then I will say thanks for the thought. Very kind of you! i think you can put a button near the post so people can hit it. check that out. i will go through the reader. I posted you work on FB–nice reaction! You should look into Country Living magazine. Hello, Rita, dear, sorry I didn’t see this. YES! I saw the precious Westie girl won the Crufts Trophy. Finally a Westie after far too many years. Thank you for this, how thoughtful you are. Barbara, I am just discovering your lovely blog and appreciate your stories and musings on life, literature, gardening, etc. Are you still writing? I hope so! Best wishes. Thank you, Carolyn. Oh my poor neglected blog! I really do intend to get back to it and soon. Thanks so much for leaving me this message. Most kind of you. Hi! I found you through Facebook. I am the editor of a site called thefinelinemag.com and we’d love to republish your “blame it on Jamie” essay. Will you reach out to me?